Music of Life is an iconic and widely respected UK Ragga Hip Hop label of international repute and probably the most successful UK Hip Hop label ever. LONDON, September 09, 2013, 1:54 pm -- /EPR NETWORK/ -- Classic Artists such as Simon Harris, Derek B, Hijack, Hardnoise, Demon Boyz, MC Duke, Daddy Freddy, Asher D, First Frontal Assault, Killa Instinct, Son of Noise and many others graced the label. 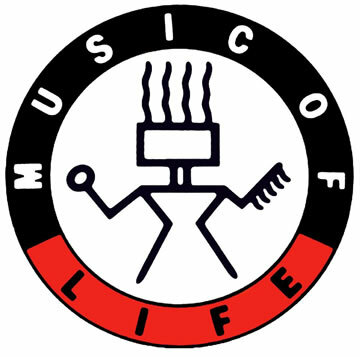 Music of Life has been dormant since 1998 with a limited online offering. A meeting with Chris France (the business brains behind MOL) in September 2012 led to Robin Allinson being appointed Label Manager. His mission was to complete the catalogue available for download. The analogue tapes have been sitting in storage since the late 80's and early 90's so they need baking before recording to digital format. Luckily they were stored in the right environment and the tapes we have transferred so far have come out well. The tapes were baked and transferred to high quality Digital files at FX Group in Acton, London, using state of the art machines for the best results. We can get a big discount for doing it in bulk. Transferring tapes allowed us to reissue the first ever LP from MOL, DEF BEATS. Relicense Hijack titles for reissue and start this remix project. With a modest budget to transfer the tapes to digital for remixing and a wide choice of 24 track tapes to choose from Robin chose a classic. 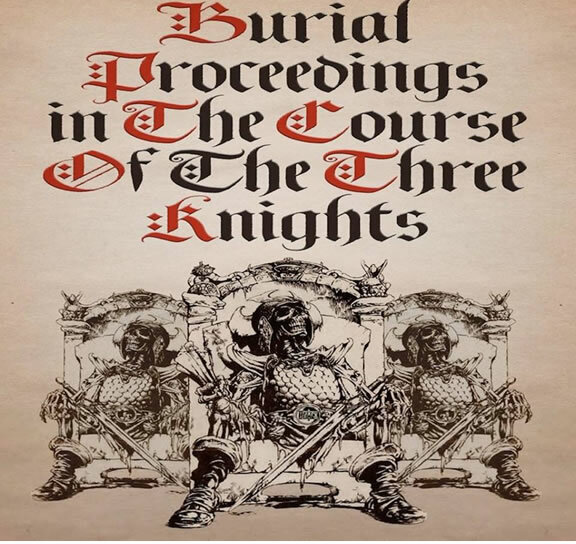 3 Knights - "Burial Proceedings in the course of 3 Knights". The idea is that we could raise income to transfer the entire archive in one go. Complete the catalogue, remaster and reissue some lost classics and issue new 21st Century UK Hip Hop and other styles again. The rebirth of a classic label, the rescue and restoration of a classic archive. The remixes are all different, with totally new backing tracks. Equally we found the mixes to be of a very high standard and the feedback has been very positive. So much so, that we want to commit as many as possible to wax for the vinyl lovers. The full tracks are available to hear on soundcloud.com as 128kbps streams along with much of the Music of Life catalogue. We have 60 Music of Life slip mats in stock to add to the first vinyl heads package. 10 of them are Glow in the dark. We know that there is an army of UK Hip Hop fans that would love to get their hands on some exclusive new vinyl from Music of Life and feel this is the best way to involve fans directly in Kick Starting the process. transferredHUSTLERS CONVENTION and Militant Posture. We also have the Demon Boyz LPas 24 track reels! Other remix projects have been started already featuring new Jungle Drum & Bass from Bay B Kane and Dominic Stanton (Domu, Sonar Circle, Umod, Zoltar etc) / Two Hungry Ghosts Blog. More will follow. you for taking time to read about our project. Check out all Music of Life and Stay On Target remixes below.